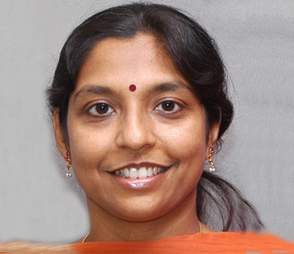 Dr. Radha Rangarajan is co-founder and CEO of Vitas Pharma. Dr. Rangarajan received her Bachelor's degree in Biology from Stanford University, Master of Science degree from the University of Michigan, Ann Arbor and her Ph.D. in Neurobiology/Genetics from Rockefeller University, New York. She was a postdoctoral fellow at the Harvard School of Public Health where she conducted research on the transmission of the malaria parasite. Professor Balasubramanian, Director of Research of the LV Prasad Eye Institute (LVPEI), is a chemical biologist, studying the molecular and cellular approaches to understand and treat Diseases of the eye. He was the Director of the Centre for Cellular and Molecular Biology, Hyderabad, India, and earlier Professor and Dean at the University of Hyderabad. 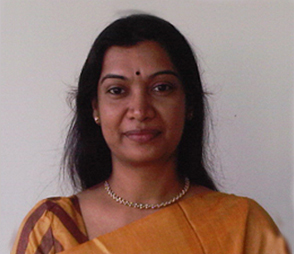 Dr. Radha Rangarajan is co-founder and CEO of Vitas Pharma. Dr. Rangarajan received her Bachelor's degree in Biology from Stanford University, Master of Science degree from the University of Michigan, Ann Arbor and her Ph.D. in Neurobiology/Genetics from Rockefeller University, New York. She was a postdoctoral fellow at the Harvard School of Public Health where she conducted research on the transmission of the malaria parasite. Prior to Vitas, Dr. Rangarajan was a scientist in the Drug Discovery division of Dr. Reddy's Laboratories where she managed research programs in multiple therapeutic areas including, anti-infectives and metabolic disorders. Dr. Rangarajan is a member of the American Society of Microbiology. She has published widely, has multiple patents filed and has presented her research at numerous international conferences. She is on the Guest Faculty at the Indian Institute of Technology, Hyderabad and National Institute of Pharmaceutical Education and Research, Hyderabad. Dr. Rajinder Kumar is President and chief medical officer of Vitas Pharma. He is a graduate of University of London, University of Birmingham and University of Dundee in Scotland. After completing his medical training in 1986, he obtained a Diploma in Psychological Medicine from The Royal College of Surgeons in 1990. Following a successful academic career, he joined, SmithKline Beecham and obtained experience in all phases of Drug Development. In 1997 he became Vice-President and Director for Clinical Development and Medical Affairs in Neurosciences. He and his team developed a number of drugs, including Paxil which became a billion-dollar product. After the merger with Glaxo, Dr Kumar became the Vice- President in GlaxoSmithKline for Neuroscience. Thereafter, Dr Kumar became President of Research and Development for Ranbaxy Research Laboratories and then President of R & D and Commercial for Dr Reddy's Laboratories. As Head of R &D, he was responsible for providing business focused clinical and scientific leadership and putting in place a process for cost effective R &D and people development. During his tenure, a number of INDs/CTAs were filed and approved and first-in-human administration studies were initiated in Europe. Dr. Kumar has published extensively and had been a presenter at various national and international scientific and clinical meetings. He is a member of various learned societies including European College of Neuropsychopharmacology and The Royal Society of Medicine. 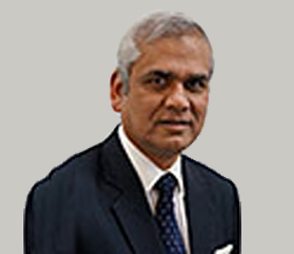 Dr Kumar is an independent committee member for The Wellcome Trust for Affordable Healthcare in India. Dr. Ranjani Nellore is a pharmaceutical scientist with 20 years of experience in the US and Indian pharmaceutical industry. A pharmacist by training, she holds a Ph.D. in Pharmaceutical Sciences from the University of Maryland at Baltimore, USA. She has been a regulatory affairs certified (RAC) professional since 2006. With work experience at Roche Bioscience in California and Dr. Reddy's Laboratories in India, she has thorough knowledge of new drug development, regulatory authorities and submissions. In 2008 she established Pharmantra Consulting Services in India to serve global clients with GMP and GCP audits, project oversight, due diligence activities and authoring of documents for regulatory submissions. She has authored documents such as INDs, CTA, RMPs, CTD modules, PIP waivers etc. that have been submitted to regulatory authorities worldwide. She has put together briefing packages and participated in meetings with US FDA and EMA. She provides customized training programs and is an invited speaker at international conferences. Now based in Singapore, she provides services to clients located globally with their requirements in India and the Asia-Pacific region. Professor Balasubramanian, Director of Research of the LV Prasad Eye Institute (LVPEI), is a chemical biologist, studying the molecular and cellular approaches to understand and treat Diseases of the eye. He was the Director of the Centre for Cellular and Molecular Biology, Hyderabad, India, and earlier Professor and Dean at the University of Hyderabad. His earlier work on the photochemistry of the eye lens revealed the mechanisms of formation of various tryptophan-photoproducts accumulating in the human lens with time, and the roles that each of them plays in situ on the structural features of the constituent lens proteins and the properties of the ageing lens. Recently, he has been looking at the functional role of the Greek key motifs in the βγ-crystallins in central nuclear transparency of the human lens and in congenital cataracts. In collaboration with cell biologists and corneal clinicians at the LVPEI, he has been coordinating adult-stem cell biological studies in the eye, and translating them into therapy. Balasubramanian has been honoured with the civilian title "Padma Shri" by the Indian government, and the honour "Chevalier de l'Ordre National du Merite" by the French Government. 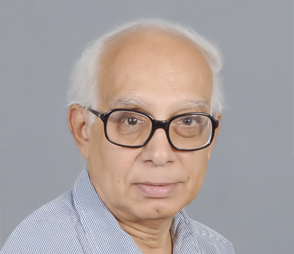 Elected Fellow of all science academies of India, of the German Academy of Sciences Leopoldina, the Academy of Sciences of the Developing World (TWAS), he has been the President of the Indian Academy of Sciences and also the Secretary General of TWAS. His efforts towards Public Understanding of Science have been recognized by UNESCO through its Kalinga Prize for the Popularization of Science. Sharon Peacock is Professor of Clinical Microbiology at the University of Cambridge and an Honorary Faculty Member at the Wellcome Trust Sanger Institute. Prior to returning to the UK in 2009, Professor Peacock spent 7 years in Thailand where she was head of bacterial diseases research at the Wellcome Trust Major Overseas Programme in Bangkok. 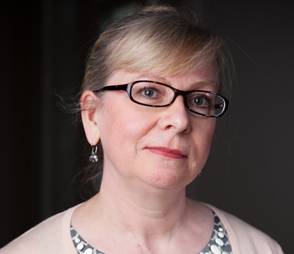 Her UK research group is focused on the use of microbialwhole genome sequencing in diagnostic and public health microbiology, and its application to outbreak investigation and antimicrobial prescribing. She receives funding from the Medical Research Council through a UKCRC (UK Clinical Research Collaboration) Translational Infection Research Initiative Consortium Grant, and from the Department of Health and Wellcome Trust through a Health Innovation Challenge Fund Award. Professor Peacock is deputy chair of the Medical Research Council Infection and Immunity Board and undertakes a range of other activities for the MRC. She contributed to the UK Chief Medical Officer's Annual Report (published 2013) on antimicrobial resistance, and led the working group on scientific priorities for the infectious diseases component of the Department of Health 100,000 genome project. Professor Peacock is a Fellow of the Academy of Medical Sciences, and was awarded a CBE for services to medical microbiology in 2015. 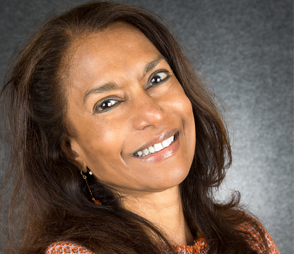 Anula Jayasuriya's 30 year career spans success in science, medicine, industry, private equity, and venture capital. Anula has been investing in life sciences and health care since 2001. In 2007, Anula co-founded and raised an $85 million investment fund, Evolvence India Life Science Fund I (EILSF I), to provide growth capital for companies in health care delivery, medical devices and pharmaceuticals in India. EILSF I made eight investments and has had three successful exits to date. The same founding team has recently closed a second fund of $145M. Anula was previously a venture partner at ATP in New York City, a partner with Skyline Ventures in Palo Alto and a principal at TVM, a German–US venture capital firm. All three firms focused on biotech and the life sciences. Prior to becoming a venture investor, Anula worked in the pharmaceutical and biotech industries. She led a multidisciplinary drug development team of about 100 professionals at Roche for CytoveneTM (ganciclovir) where she was in charge of clinical research, regulatory, biostatistics and business development. Subsequently she worked as the first head of Business Development at Genomics Collaborative in Boston, a venture backed genomic start up later sold to SeraCare. Anula currently serves on the boards of several life science companies and non-profit organizations.